Boscia Farm Stay is surrounded by beautiful views provided by the farmlands. 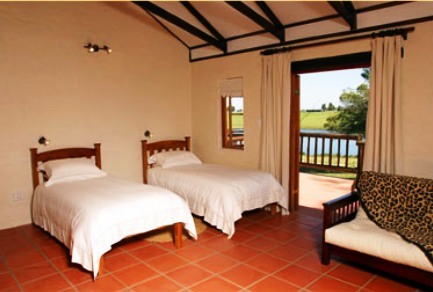 Comfortable with luxuries and affordable, these self-catering units are ideal for those seeking peace and quiet. 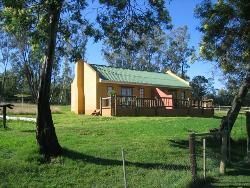 The genuine hospitality on offer is matched only by the beautiful setting next to the large dam, where fishing and bird watching provide peaceful tranquillity. The perfect starting point from which to explore and experience the Outeniqua countryside, while upmarket restaurants, golfing and the town centre of George are only minutes away. Easy access from all main roads, with the George Airport and the perfect beaches of the Garden Route within close access. The Outeniqua Country Hop Route, beautiful farm land where visits to a wide variety of activities and products are encouraged. Strawberry farms, hi-tech milking parlours, cheese making, old-fashioned farmers&apos; hospitality and cuisine to name but a few, are all within a short drive or walk. Harold’s bay, Victoria bay and Glentana the rugged coastline of the southern cape with its fantastic beaches are within 15 minutes’ drive, Fancourt, famous golfing within ten minutes’ drive, game farms short drive only to Botlierskop and or Nyaru game farms. The largely undiscovered hinterland of the Outeniqua mountains Harold, Waboomskraal, Friemersheim, Karatara, de rust close to George along spectacular routes. Oudtshoorn Cango caves, ostriches, game farms 50 minute drive, wilderness national park unique wetlands, estuaries and lakes. Half-and-hour&apos;s drive; wilderness, Knysna all within one hour&apos;s drive, mossel bay pinnacle point casino and golf three-and-half hour drive away. 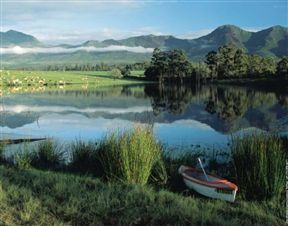 the full garden route the wonderful beaches and scenery between Mossel Bay and Jeffries Bay, including Plettenberg bay, Natures Valley and Tsitsikamma National Park all within a day&apos;s drive; George itself restaurants, Exhibitions, Art, History, shows, shopping all within 15 minutes’ drive. Spacious bed-sitter with a TV and fully equipped kitchenette. It also has a bathroom with shower. There are cleaning services and the unit is self-catering but meals can be provided on request. This unit has a outdoor braai facility and great views. Spacious bed-sitter with two three-quarter beds, wooden sleeper couch which converts to double bed and comfort chairs. Boscia Farm Stay is equipped with an open-plan kitchen, a fireplace, a bathroom with shower and all linen are provided. Self- catering or meals by arrangement. We offer cleaning services and outdoor braai facilities. I can recommend Boscia farm to anyone. Gert and Marie made us feel right at home. If you want peace and quiet, this is the place to go. It is close to the airport and a few minutes from lovely beaches. We enjoyed our stay at the farm and can recommend it to any traveller. The host, Mr G Erasmus, made us really welcome and we could see that he cared. The cabin is beautiful, and lots of thought went into meeting guests&apos; needs. Owners are extremely friendly and helpful. 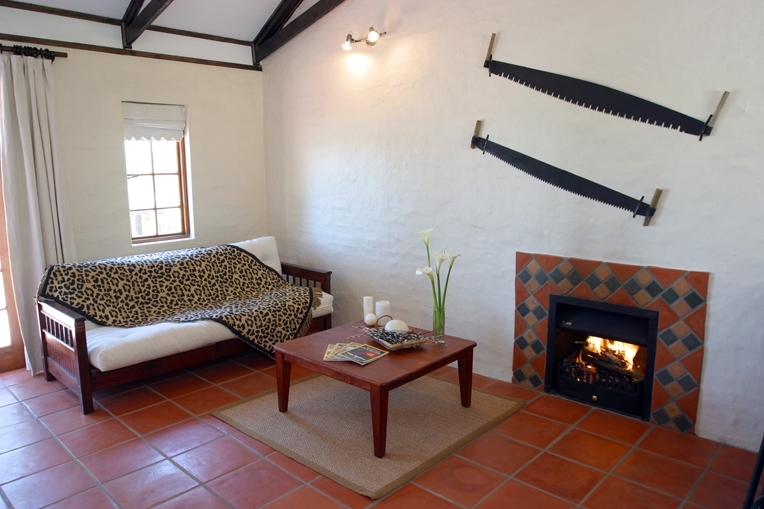 We felt very much at home, and would recommend the place to anyone visiting the Klein Karoo and the Garden route. I love travelling throughout South Africa and have stayed on farm lands before, but I must say that my stay at Boscia far exceeds them all! The serene environment and neat cottage, made this a most pleasant stay. Gert is such a friendly and hospitable person and I have already recommended Boscia to friends, even some living close by in Oudshoorn! Thank you so much for an unforgeable stay. Getting into the country air made a nice change. Very relaxing and peaceful...great for someone who comes from a big city. The chalet was clean and the beds comfortable. Gert was also a good host, made sure we were comfortable and that all was ok.
Netjiese &apos;hotelletjie&apos; in die bosse. So rustig, pragtige uitsig, lieflike fasiliteite en wonderlike gasheer. Neat little hotel in the bush. So peaceful, with beautiful views and lovely facilities.